Get fluent faster when you enjoy learning Spanish without "studying"
Spanish Con Salsa is a language learning community of Latin music lovers committed to speaking fluent Spanish. We enjoy learning Spanish with music and support each other along the way. 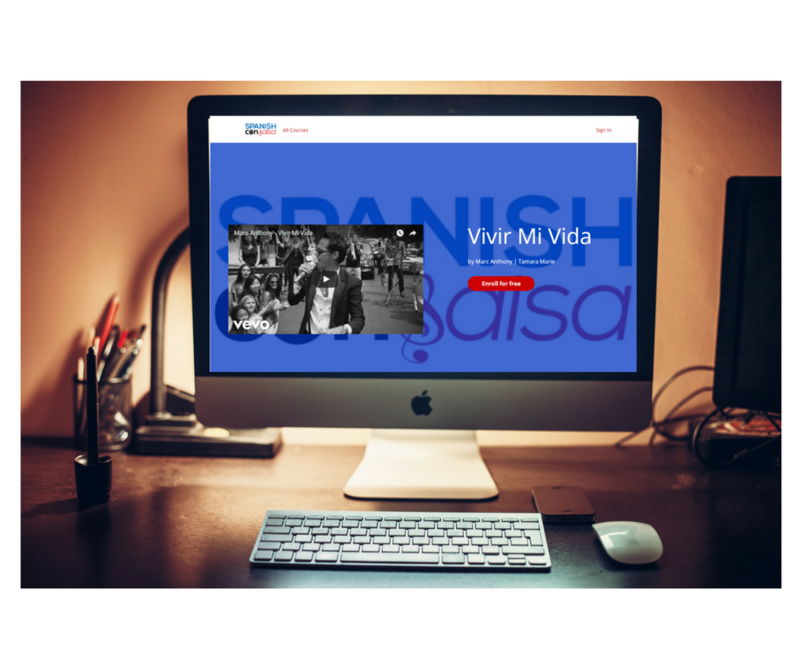 Our membership site features a growing library of online Spanish courses. This combination of interactive courses, expert language coaching, and a supportive community is all designed to help you get fluent faster. Learn the most frequently used Spanish words, conversational phrases, pronunciation, grammar, & important cultural notes in short interactive lessons. Enjoy listening to a song and hear the vocabulary you just learned used in context. Review the vocabulary again and be amazed at how much you've retained and understand. Practice your new vocabulary in conversation sessions with our team of coaches and native Spanish speakers.